When immigrating to Canada, one of the main things to be prepared for is the weather. Most of Canada has four distinct seasons: Spring, Summer, Autumn and Winter. The weather in each province can vary depending on how far north the province is, making the winters colder and last longer. Canada has 10 provinces and 2 territories, each with its own capital city. Depending on the location, Canada’s geography can vary anywhere from agricultural land, vast mountain ranges, lakes and rivers, wilderness in the far north to having one of the biggest cities in the world. Canada is also known for its natural beauty, where the Canadian government has set aside more than 100 national parks and historic sites for tourists and residents to enjoy. Our services apply to both companies and individuals and we are here to advise and guide you through the maze that can sometimes be International Immigration Law. 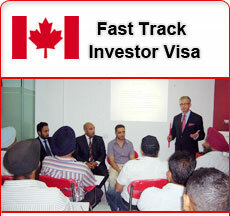 There are a wide range of different types of Visas and Permits designed to best accomodate your requirements. We closely examine these requirements and ensure that the route we take together is the most cost effective and efficient. Canada has been ranked as one of the world's best places to live in for the past 10 years by the United Nations. Some of the many reasons are the free healthcare and primary and secondary school education. The education in Canada is considered world class where as even the Canadian Universities are recognized as some of the best universities in the world. Along with free healthcare, Canada also offers social security for those in need, for example old age pension for the elderly over 65, family allowance for children, unemployment insurance and welfare. All this is possible because of the political position Canada is in, Canada is a constitutional monarchy and a federal state with a democratic parliament, whose members are elected. Canada does focus on multiculturalism and is not a melting pot society, meaning there is an acceptance to many cultures and religions, a concept you would not be able to find in other Western Countries. Because Canada is a multicultural society, two thirds of Canada's population growth is accounted by immigrants, making Canada have the highest per capita immigration rate in the world. Canada gives the rights to its citizens to have dual citizenship, allowing citizens and permanent residents to sponsor family members wishing to immigrate to Canada. Canada does not only benefit families looking to immigrate but offers many growth opportunities for businesses. Since Canada's neighbors’ are the United States of America and because of the free trade agreement (NAFTA) gives privilege access to the world's largest economy. Canada does have its own abundant supplies of energy, natural resources, hydroelectricity, metals, pulp and paper. Not only does Canada have the second largest proven oil reserves, it is also a net exporter of energy giving Canada possible growth in its GDP. 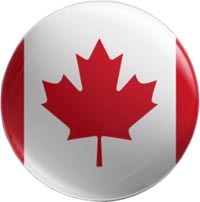 Along with offering growth for potential businesses, Canada also benefits laborers, it is estimated by 2013 that 100 percent of the labour growth for Canada will come from immigration, giving oppotunities to immigrant from various background. In short, Canada is not only one of the largest and most beautiful countries in the world, but is an ideal place to live and work in. Offering growth opportunities for not only individuals such as students looking to better their future with world class education, but also businesses looking for economical growth to families looking to settle and provide a secure future for their children and loved ones. Canada recognizes the skills and experiences that foreign professionals and workers bring with them to Canada. 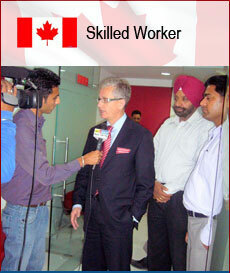 Check to see if your skills and experience qualify you to come to Canada as a skilled worker. Canada recognizes the experience in owning and managing a business that foreign professionals bring with them which support the development of strong Canadian economy. Check out to see whether your experience qualify you to come to Canada as a business entrepreneur /self employed/investor. The person who wants to immigrate to Canada under family case must have a sponsorship from a close relative who is already a permanent resident of Canada. Check for further details and see if you fulfill all the criteria. Canada offers one of the finest education in the world thereby ensuring professional and personal growth of students. Check out the eligibility and skills required to study in Canada.